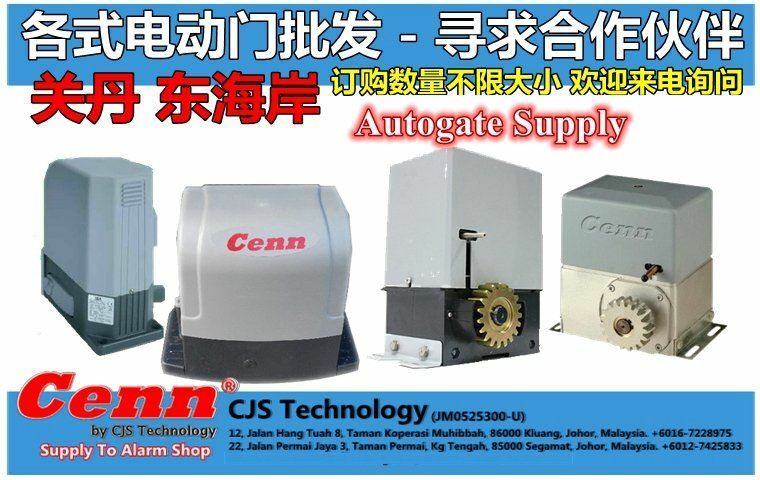 CJS Technology - Our company is a reliable security system supplier. 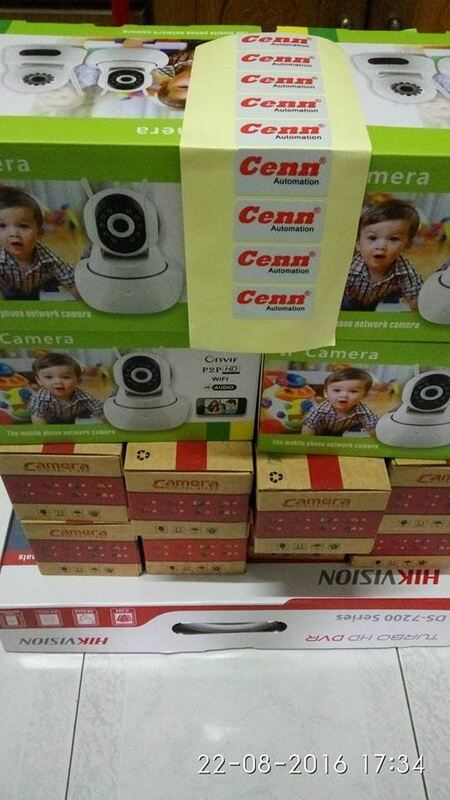 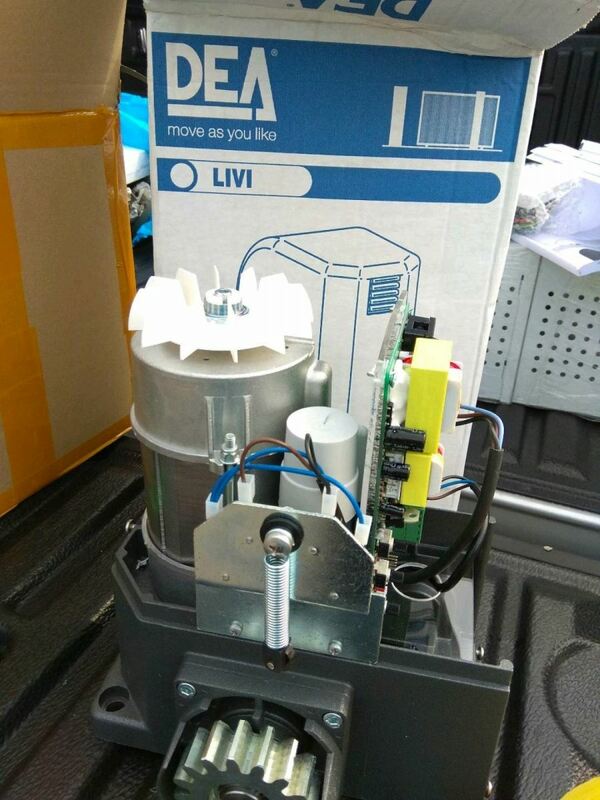 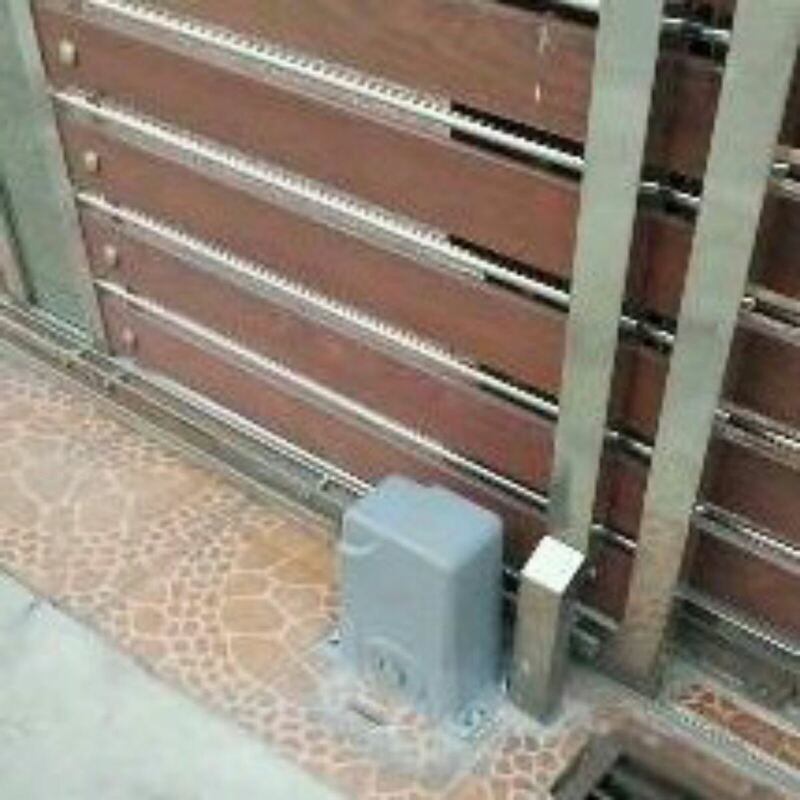 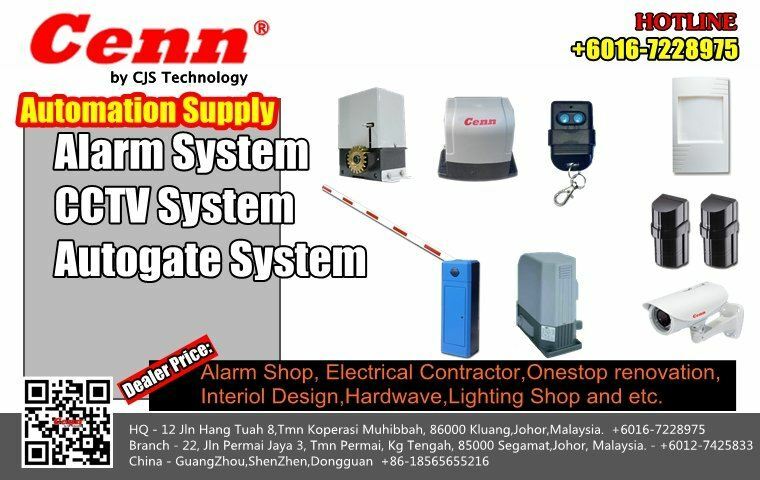 We supply cctv, auto gate, access control, alarm, barrier gate, emlock, and power supply. 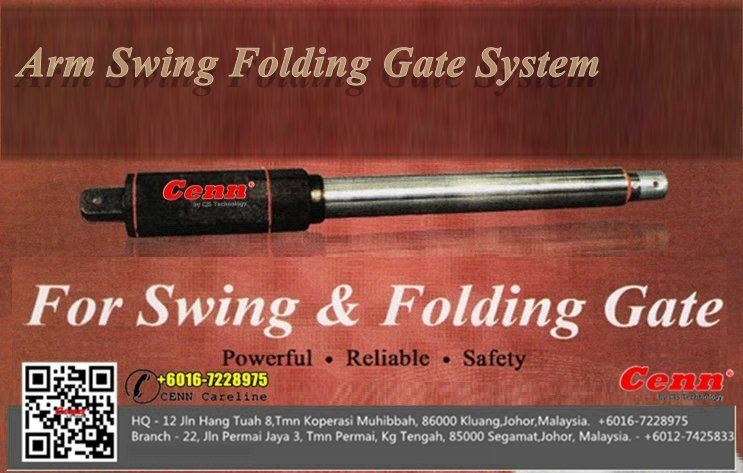 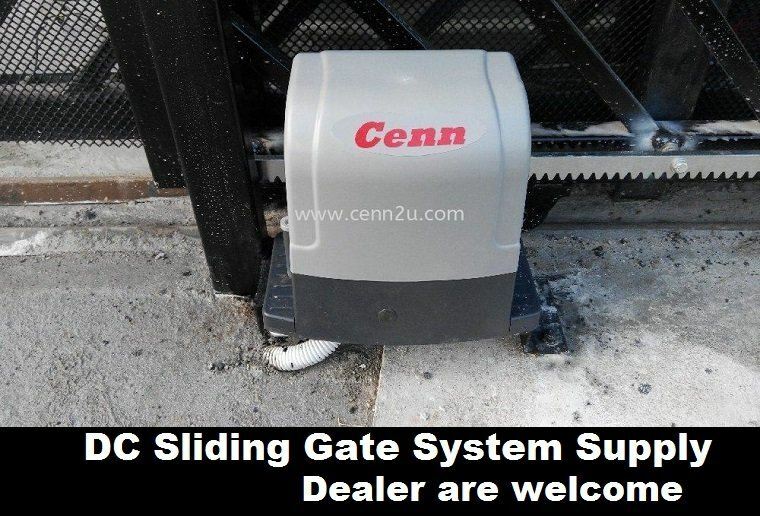 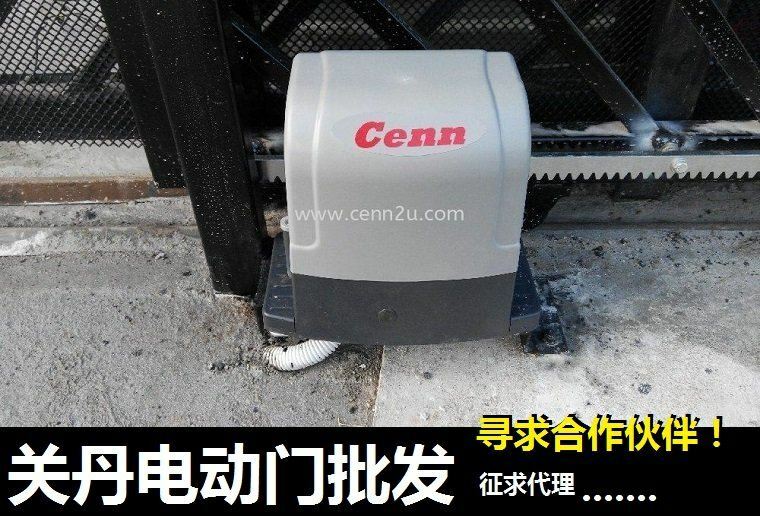 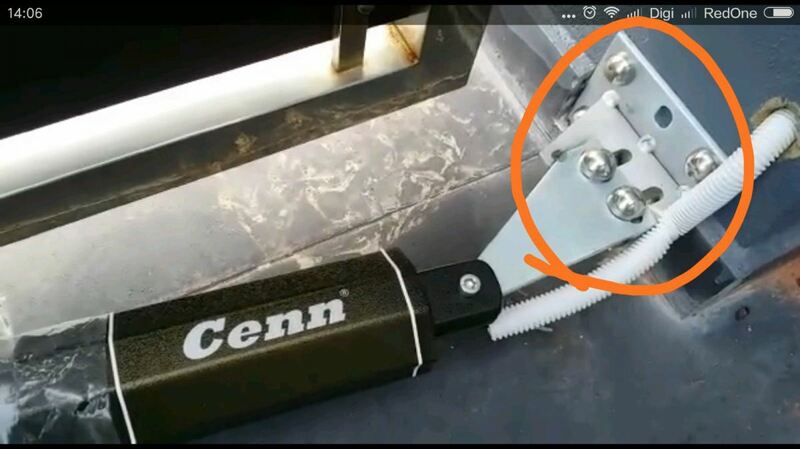 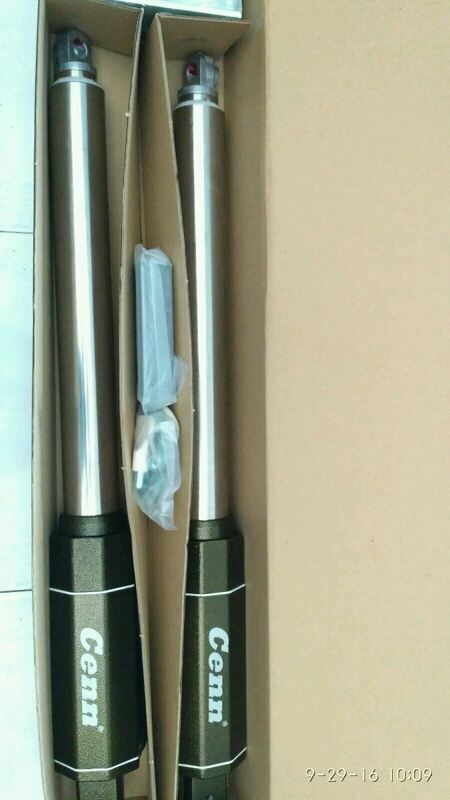 08-Jul-2016 Arm Folding Gate System "cenn"
08-Jul-2016 Autogate DC Sliding gate "Cenn"
CJS Technology was initially founded in year 2008, distributing security related products such as Autogate, Alarm, Door Access, CCTV and related accessories parts with the brand name of " Cenn ". 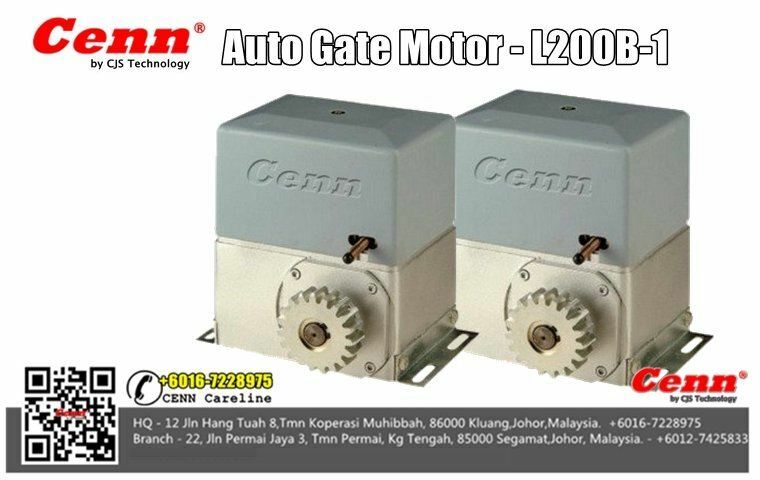 (Registered trade mark in year 2012). 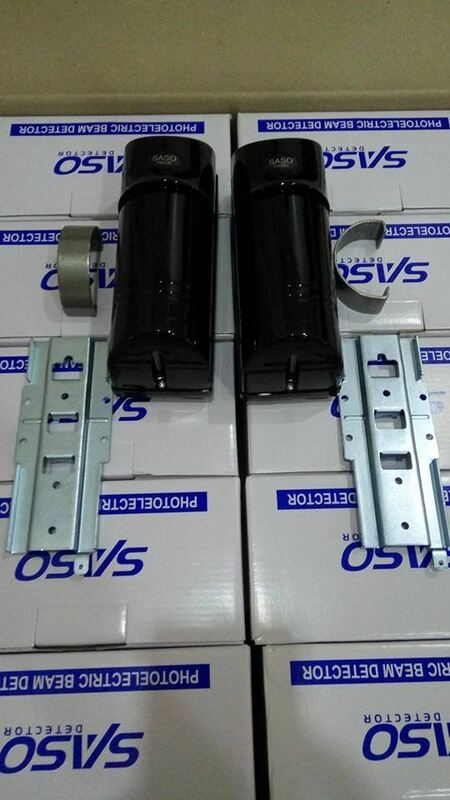 Our Company is widely recognized by local dealers as a leading company based on its excellent quality, products reliablity and strong support after sales and service. 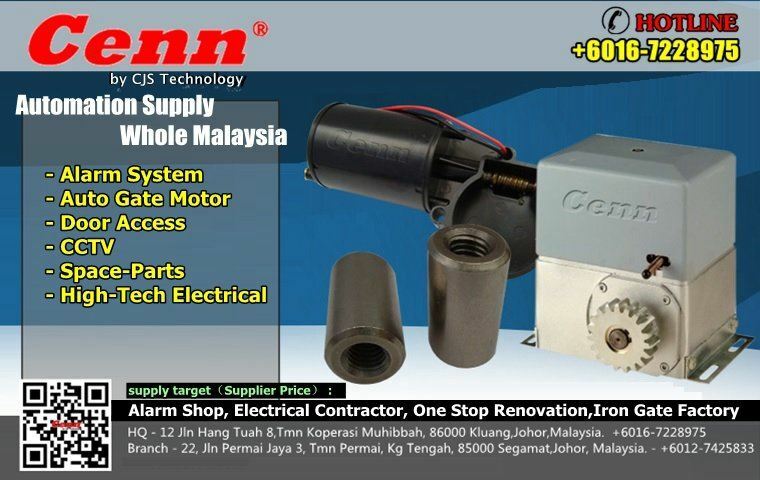 12, Jalan Hang Tuah 8, Taman Koperasi Muhibbah, 86000 Kluang, Johor, Malaysia. 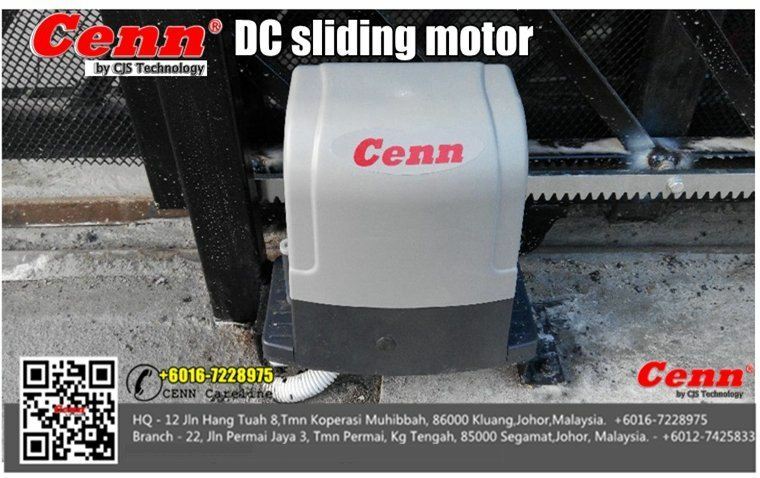 22, Jalan Permai Jaya 3, Taman Permai, Kg Tengah, 85000 Segamat, Johor, Malaysia.